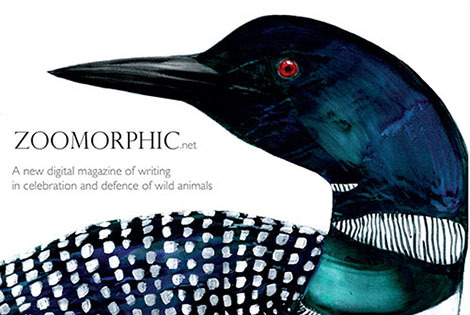 The third issue of Zoomorphic, the wonderful new online magazine that features writing in celebration and defence of animals, will be published on October 4th, World Animal Day, as its poetry editor, Susan Richardson, is currently World Animal Day poet-in-residence! For this special issue, therefore, Zoomorphic seeks writing that specifically addresses the themes of animal welfare and vulnerable/endangered species. Poetry - please ONLY send work on the above theme. Prose - fiction, creative non-fiction and science and conservation journalism that responds to the more general mission statement - 'in celebration and defence of wild animals' - as well as work that addresses the special World Animal Day theme are welcome. All submissions should reach the editors by Monday 7th September. Please follow the detailed submissions guidelines on the Zoomorphic website.